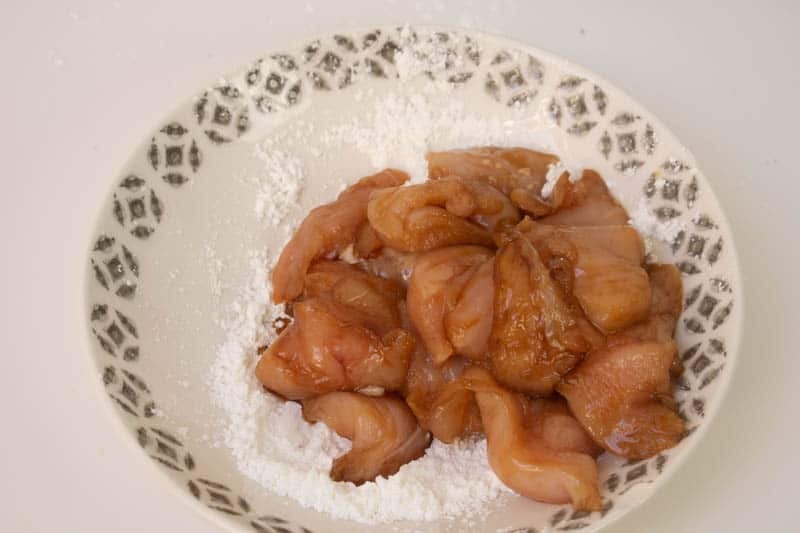 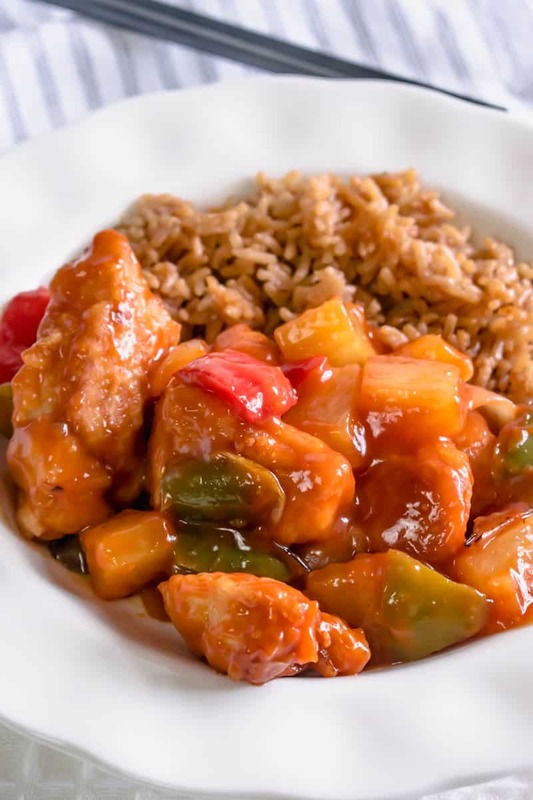 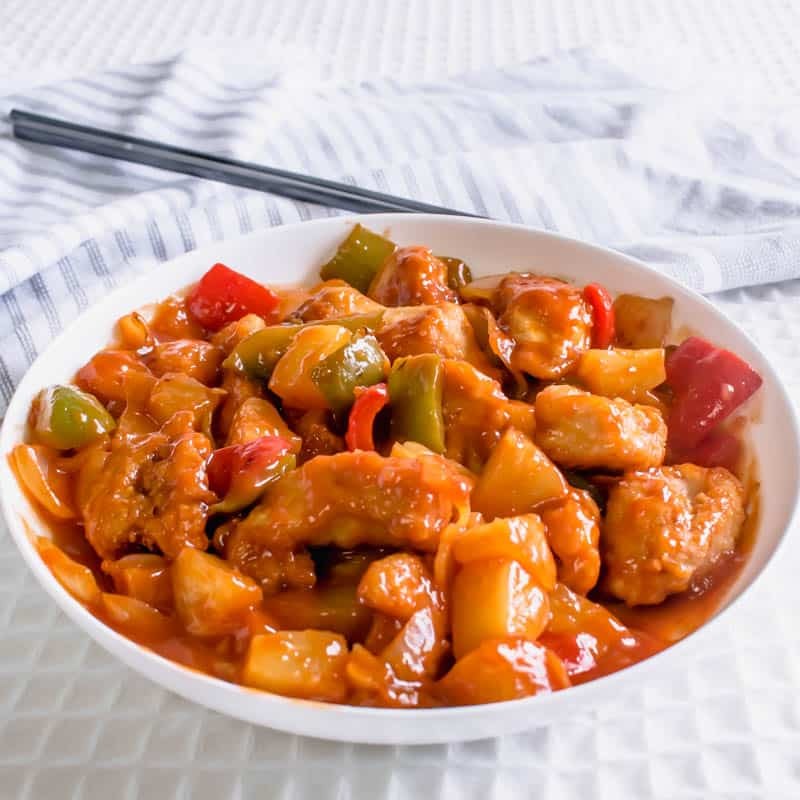 Sweet & Sour chicken is probably the most popular Chinese takeaway dish in the UK. 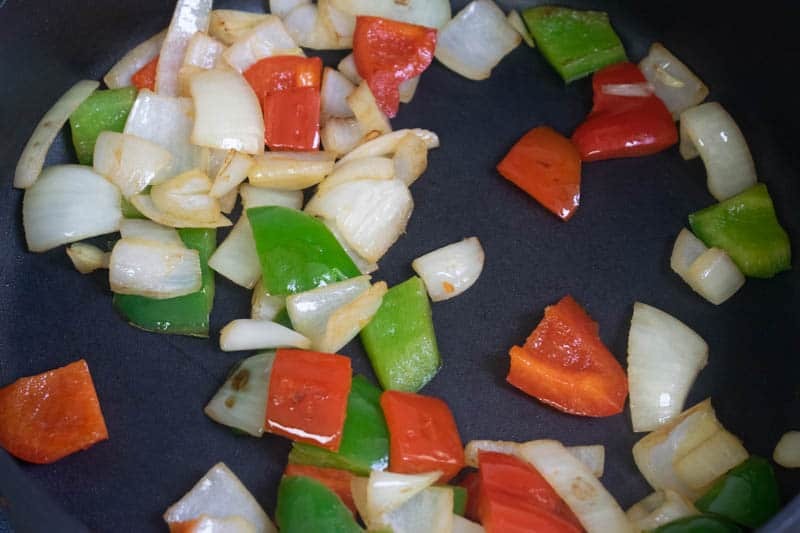 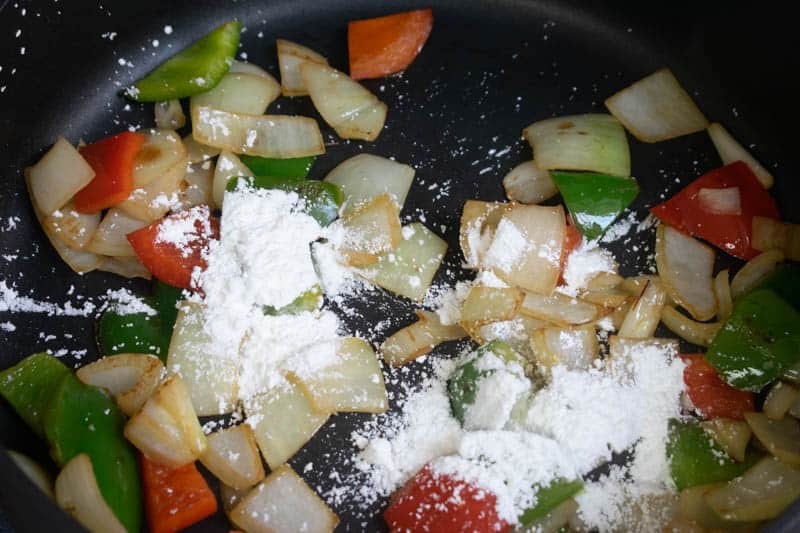 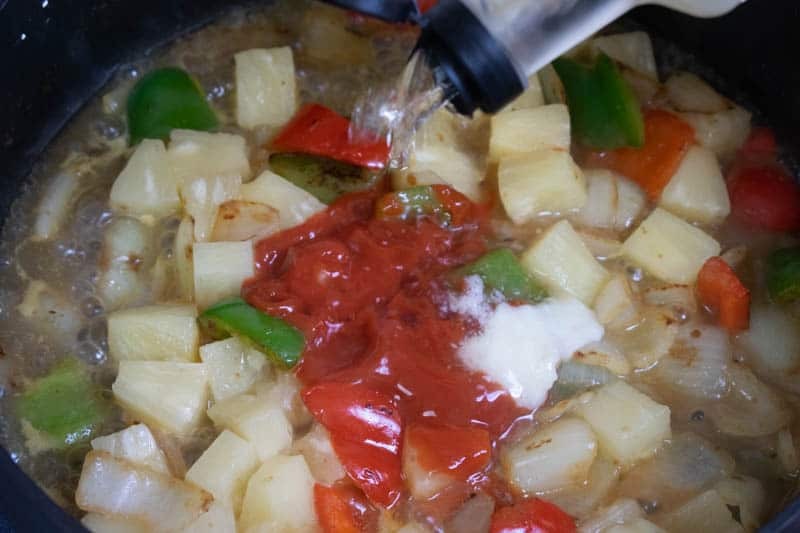 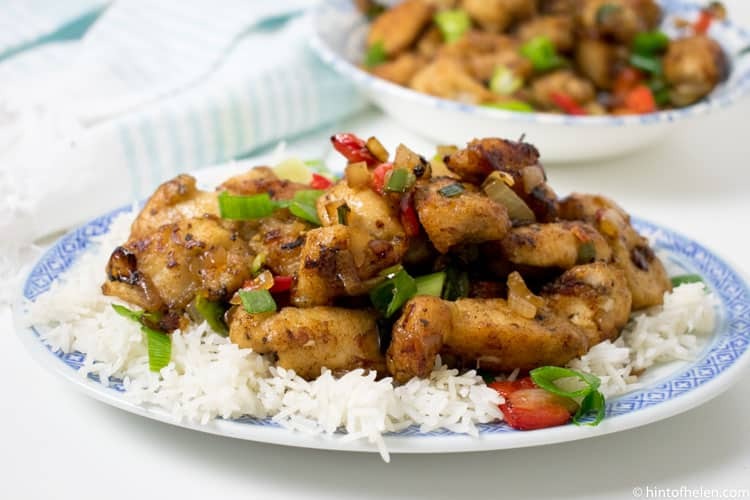 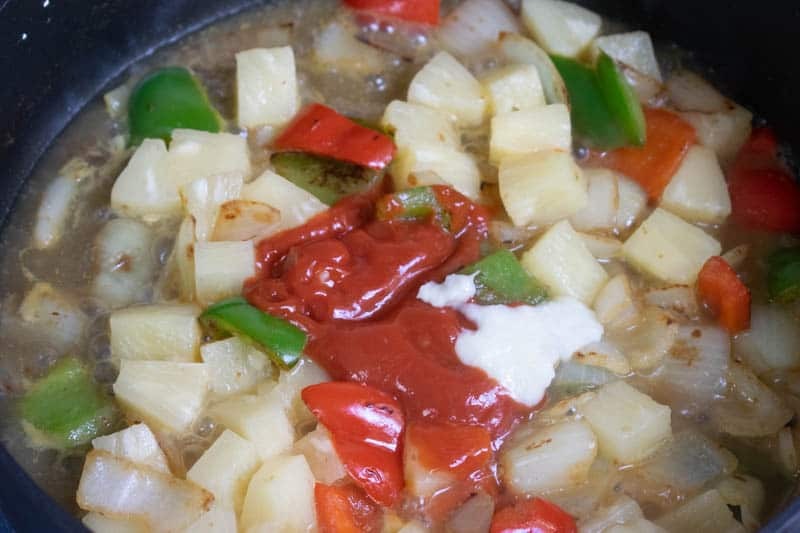 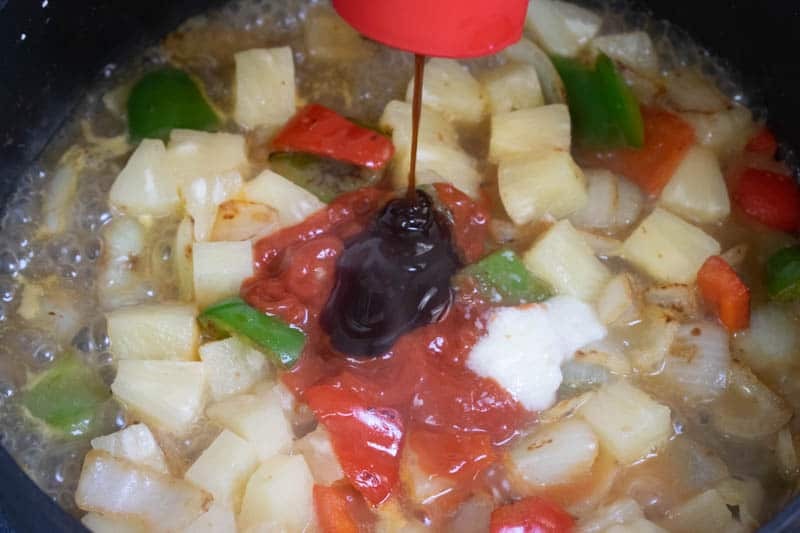 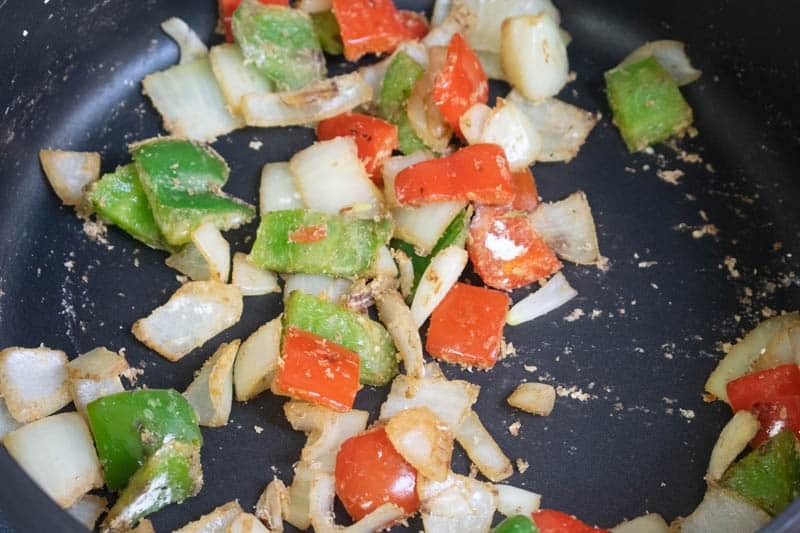 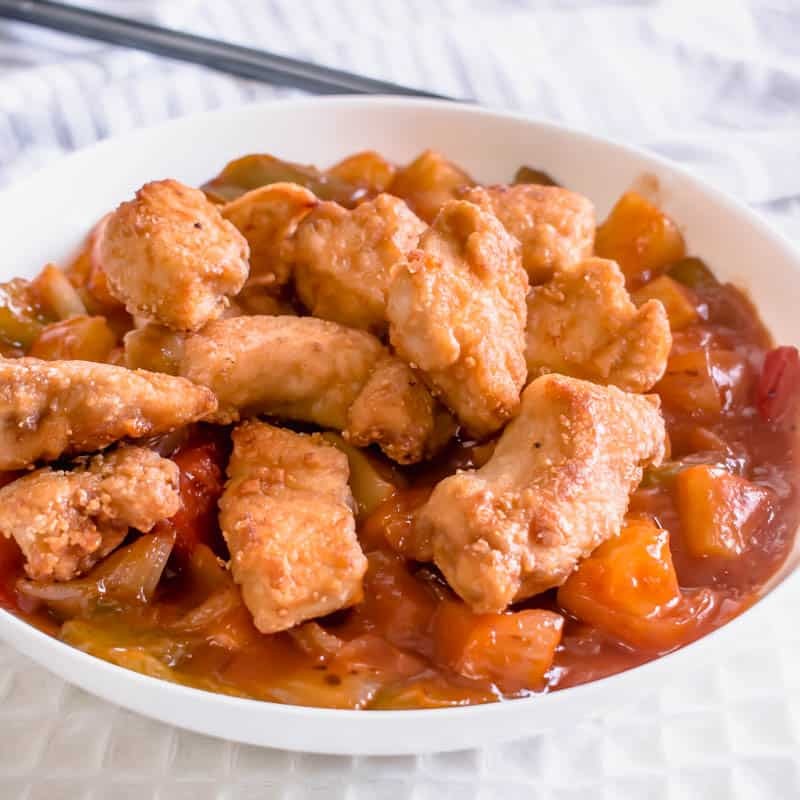 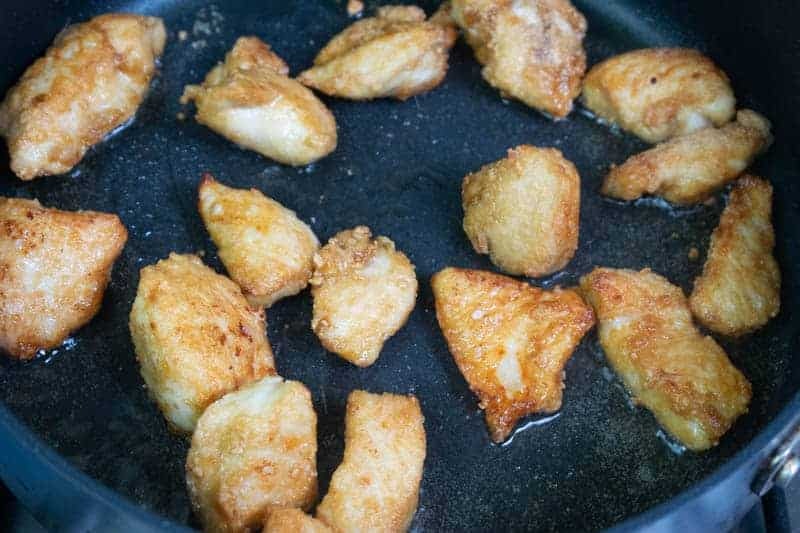 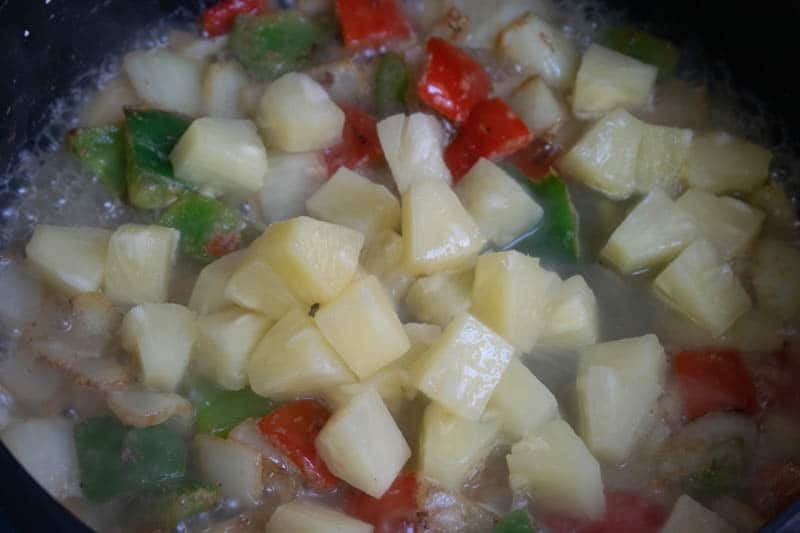 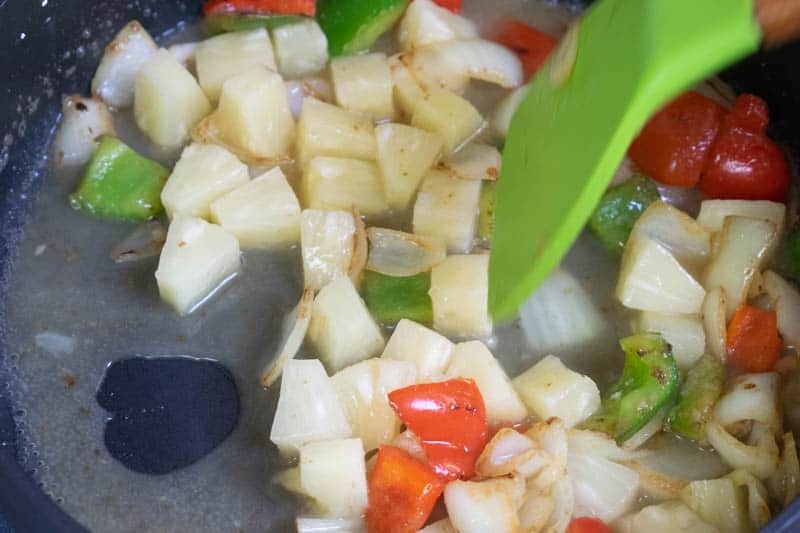 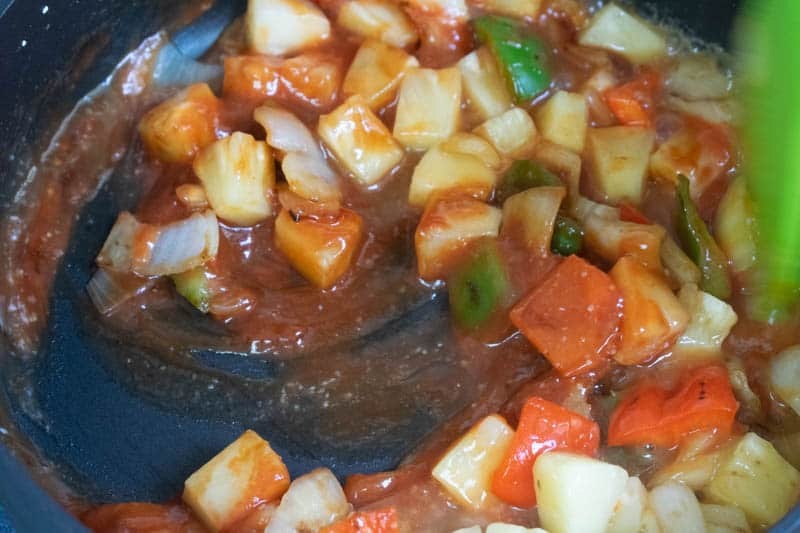 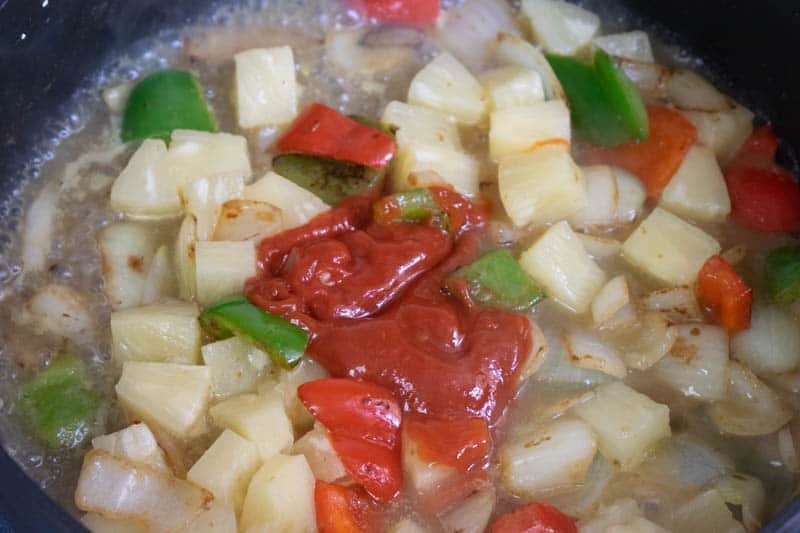 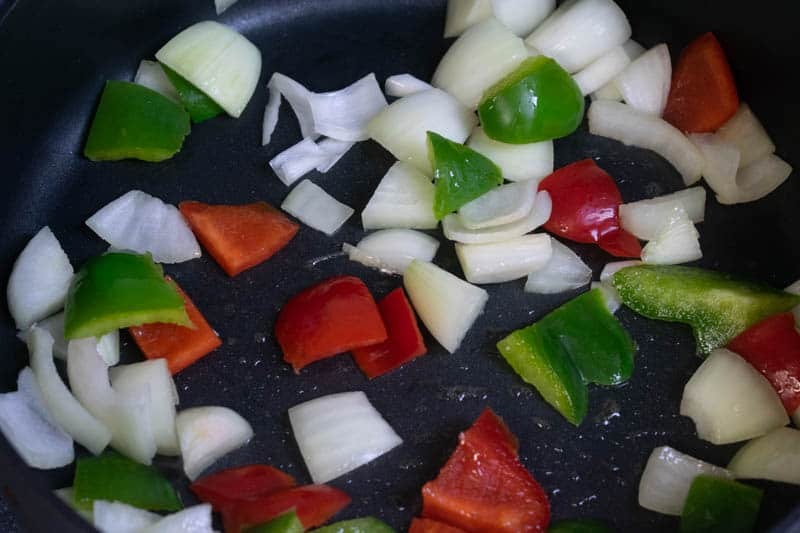 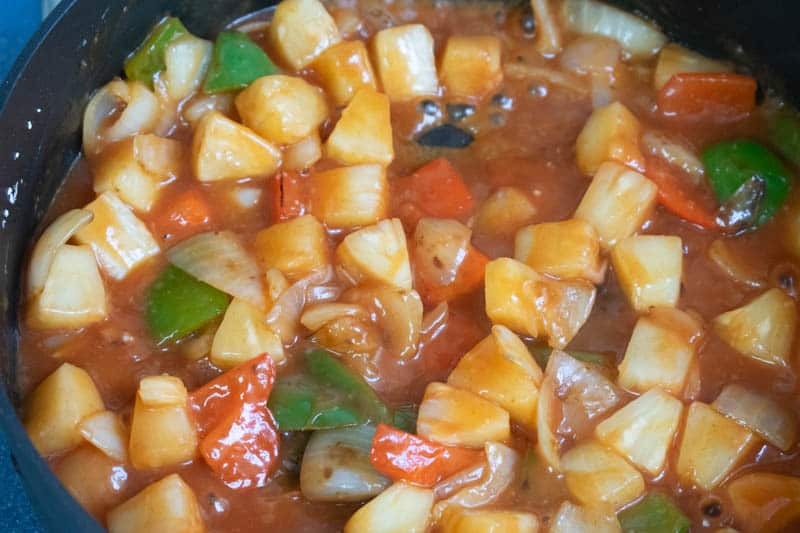 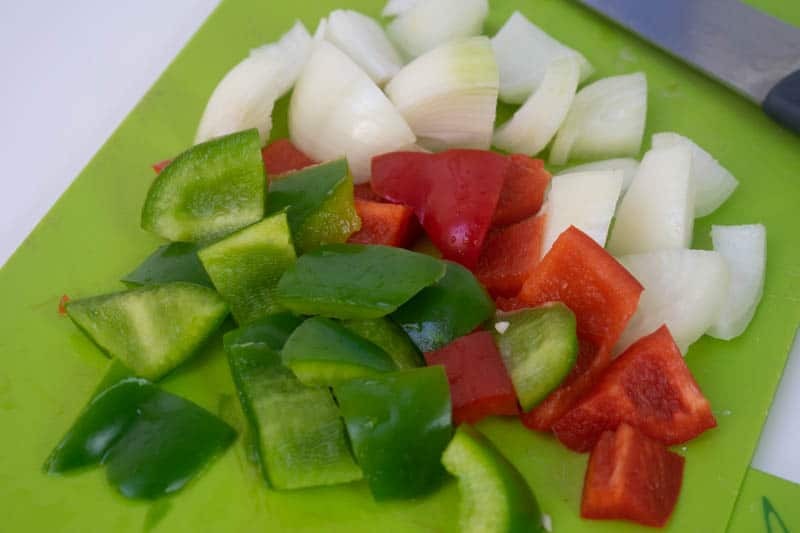 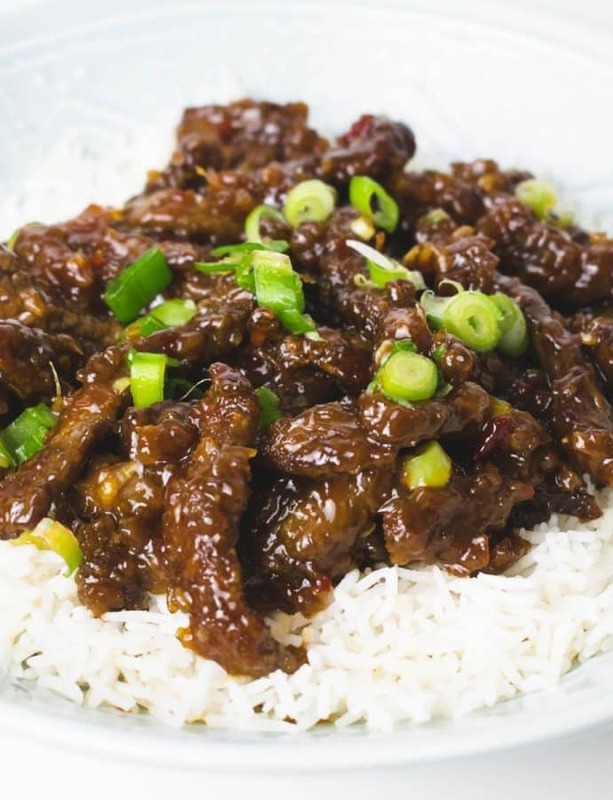 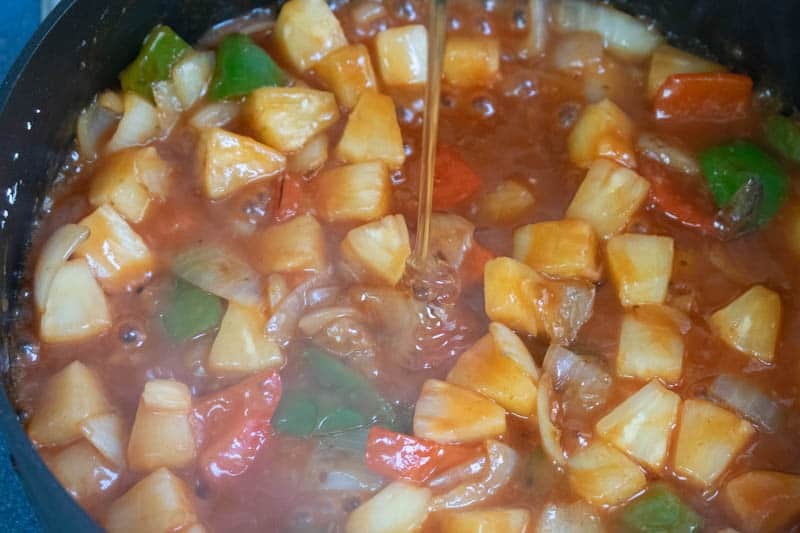 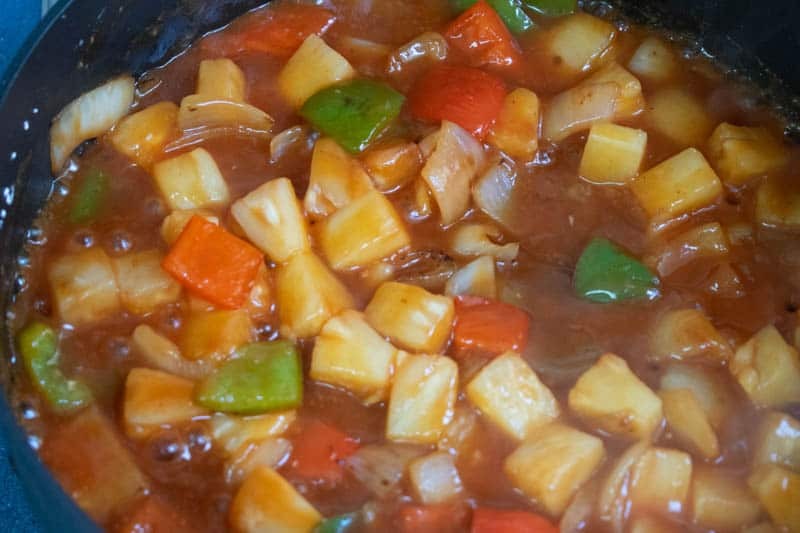 This easy to follow recipe is a delicious homemade version of the dish – with sticky sweet and sour sauce, crunchy peppers and onions and sweet pineapple chunks. 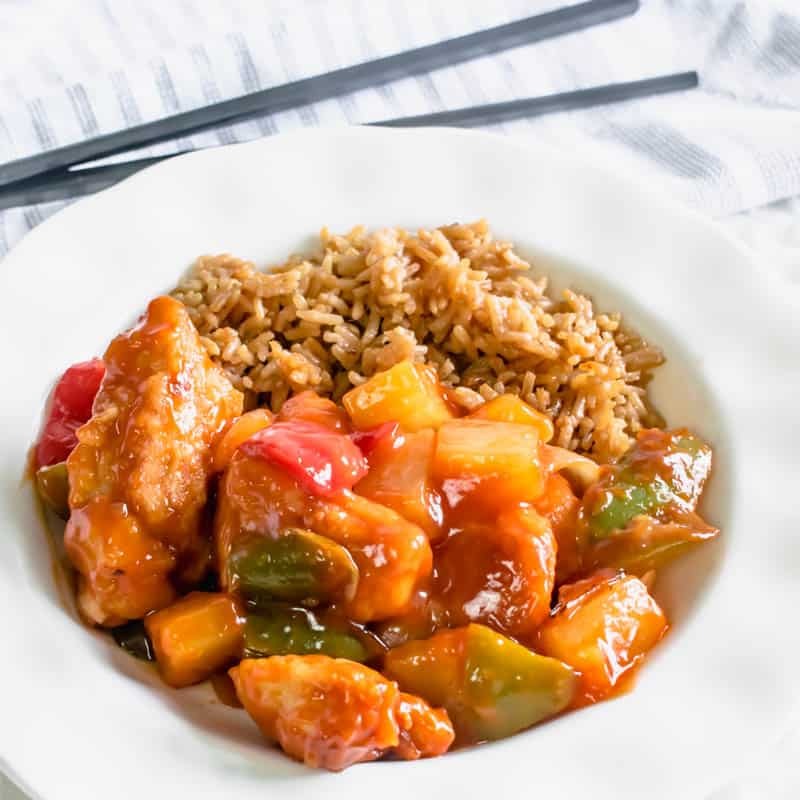 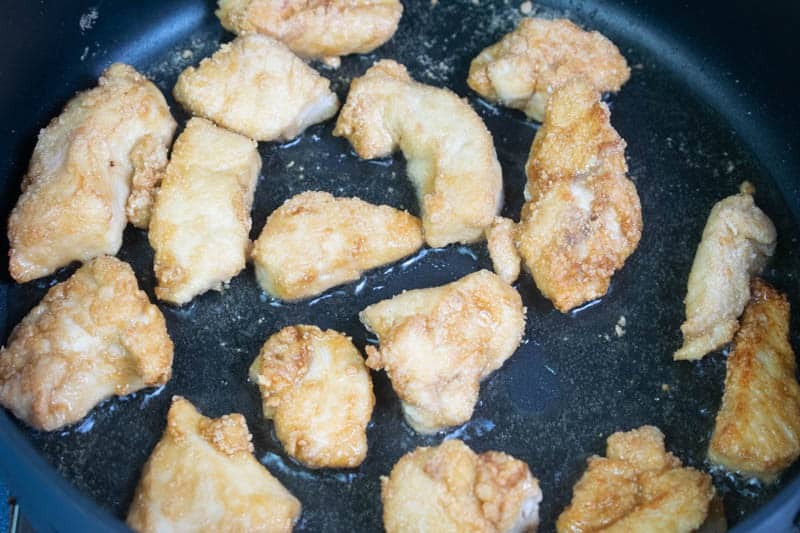 Once you’ve mastered how to make homemade sweet & sour chicken you’ll prefer it to your local take-out. 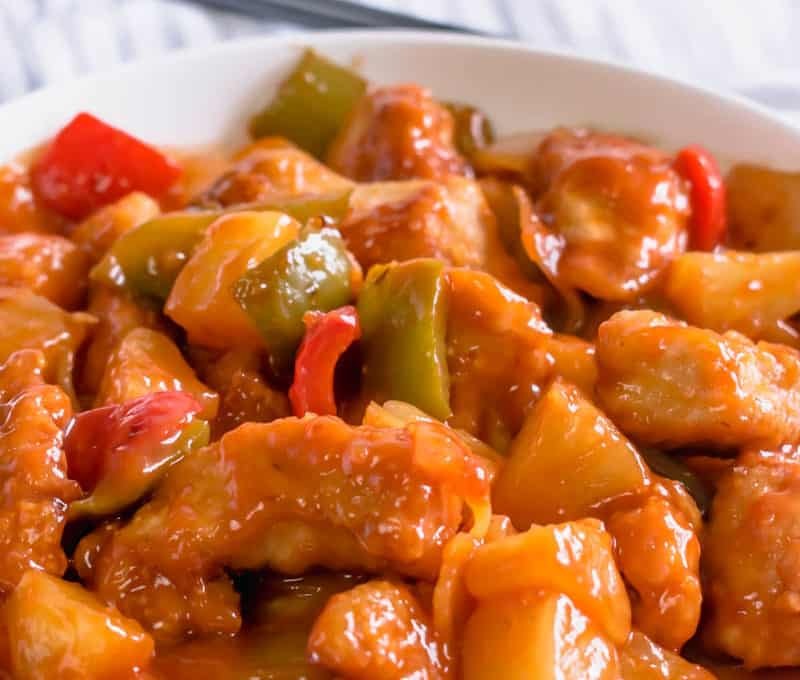 We love eating this sweet and sour with salt and pepper chips! 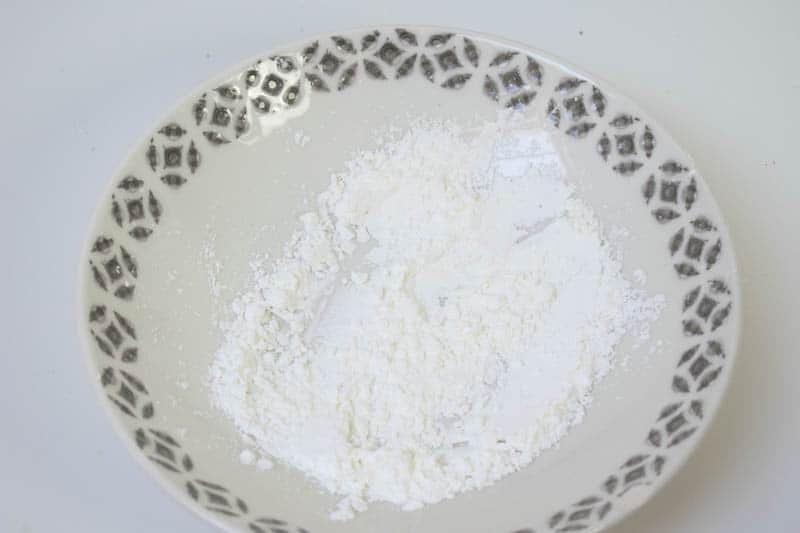 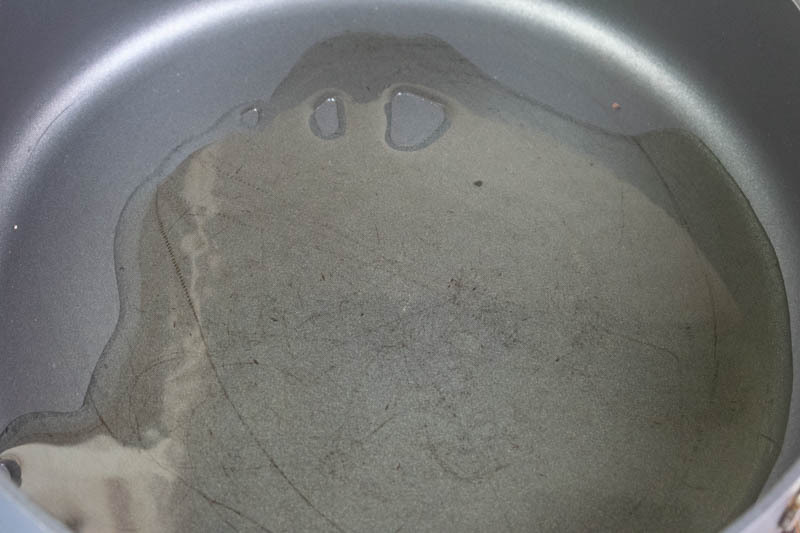 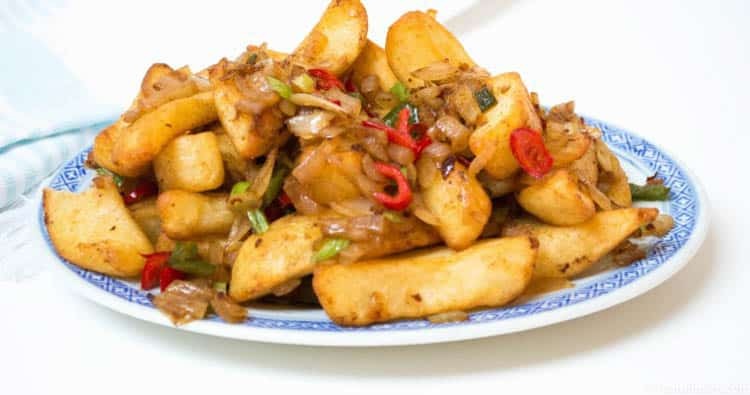 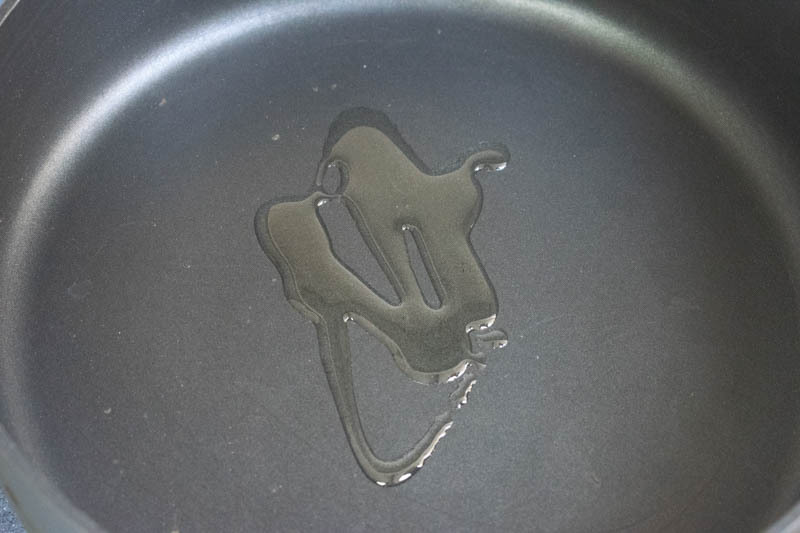 Click here to view my salt and pepper chips recipe. 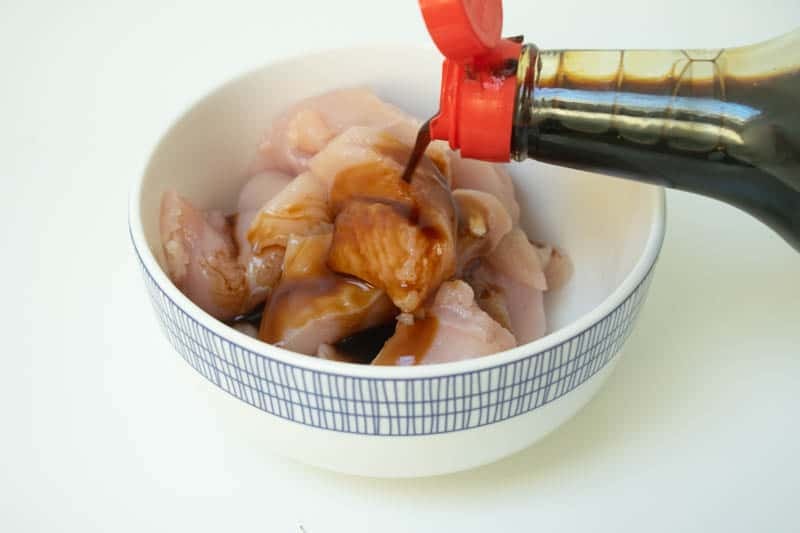 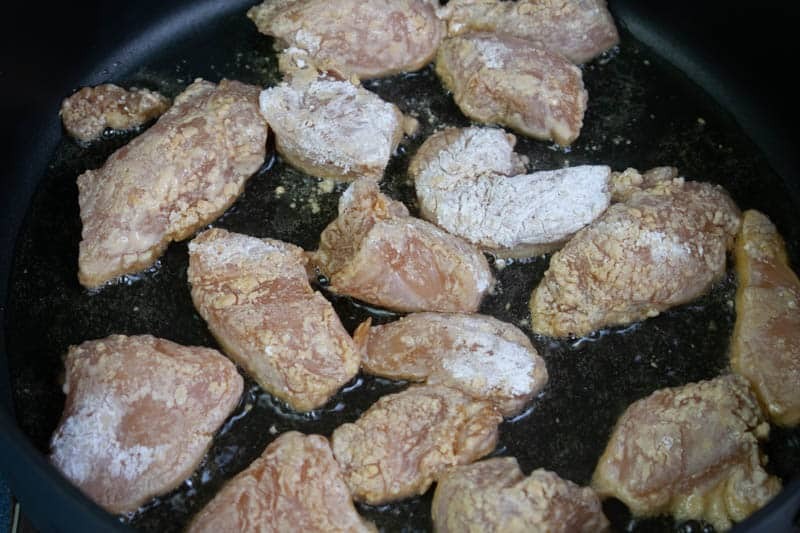 Then toss to evenly coat the chicken in the sauce – and serve with your favourite sides, such as fried rice or salt and pepper chips. 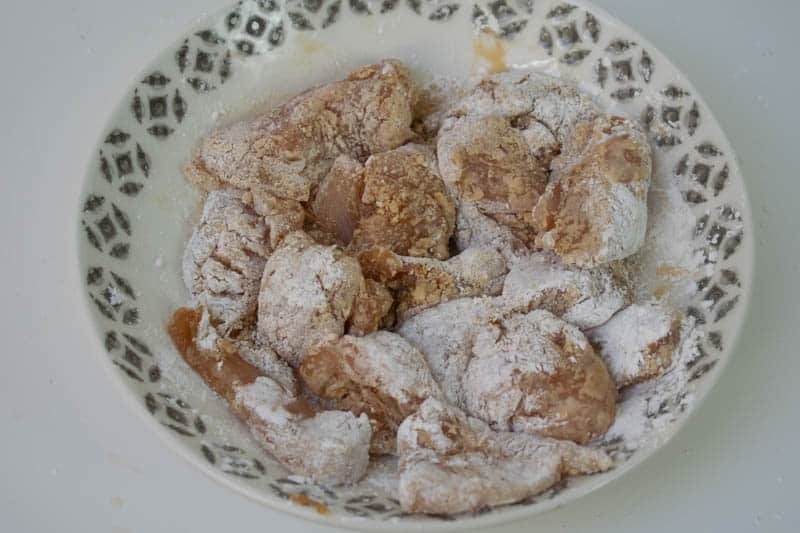 Takeaway style Chinese Sweet & Sour Chicken recipe. 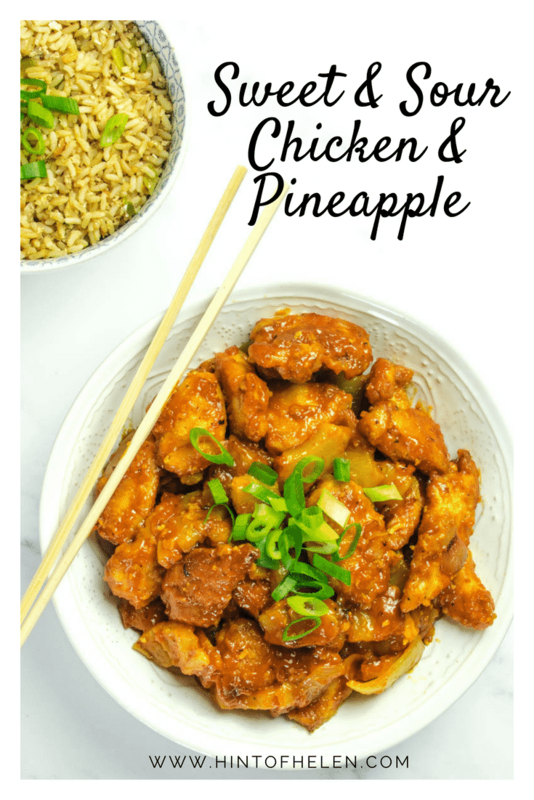 Sweetened with tinned pineapple.